For a while I have been putting off paying too much attention to Nintendo Directs. For the last little while they seem to have just rehashed much of their info on games we already knew about. Not today! 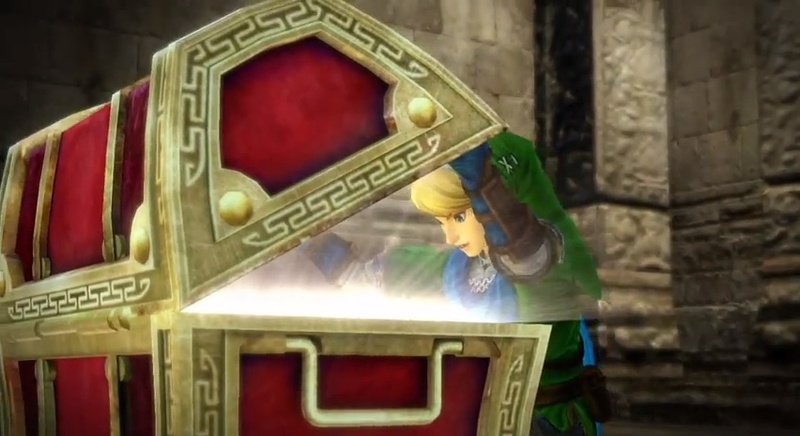 Today we get a first look at a Zelda crossovery title tentatively called Zelda Warriors. This Zelda is not, as it is stressed in the Nintendo Direct, any direct sequel in the lineage of Zelda, but a game developed by Tecmo in the style of Dynasty Warriors. Basically, as the video shows, that means Link (and whoever else they decide is in the game) gets to smash a ton of enemies all the time. In the video we see Link in a blue scarf in the fields in front of Hyrule Castle pummeling through a horde of moblins with fancy sword attacks and tons of bombs. Then he dodges from the fireball launched by a dodongo that happens to be there. Silly dodongo. The action was fast and definitely looks Tecmo-y. Whether or not that’s a good thing is up to you. And here’s to hoping they allow Zelda herself to get in on the action. Shiek would be a great character to play as. Zelda Warriors has the super vague release date of “2014” on Wii U, so you can expect it to come out about Thanksgiving if Smash Brothers doesn’t end up taking that spot.